Gloria W. Williams is the Director of Family Support Programs for The Children’s Study Home. She oversees the Reunification, Parent Education and the Supervised Visitation Programs in Springfield and the Cape. Gloria comes to The Children’s Study Home with a Master degree in Management and a Minor in Conflict Negotiation. 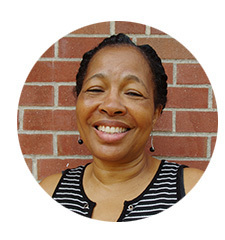 Gloria is passionate about the children and families she and her team serve at the Family Center.